British drivers Johnny Herbert and Mark Blundell will draw on their Formula One and Le Mans winning experience to lead the Golf24 charge for Volkswagen Motorsport at the Nürburgring 24 hour race this year. With 440hp and all-wheel drive at their command the British duo should be capable of a top 10 finish. They will ably assisted by Volkswagen young guns Edoardo Mortaro and Franck Mailleux. 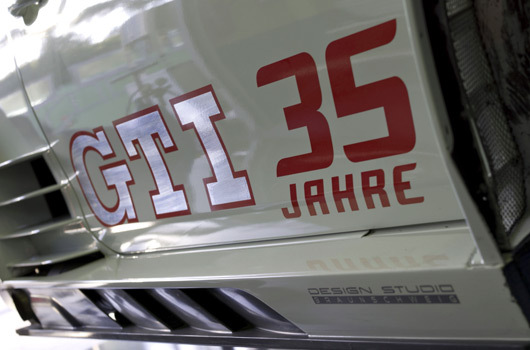 Volkswagen will enter three Golf24s into the 24 hour race, all wearing a 35 in their number to signify the 35th anniversary of the Golf GTI. 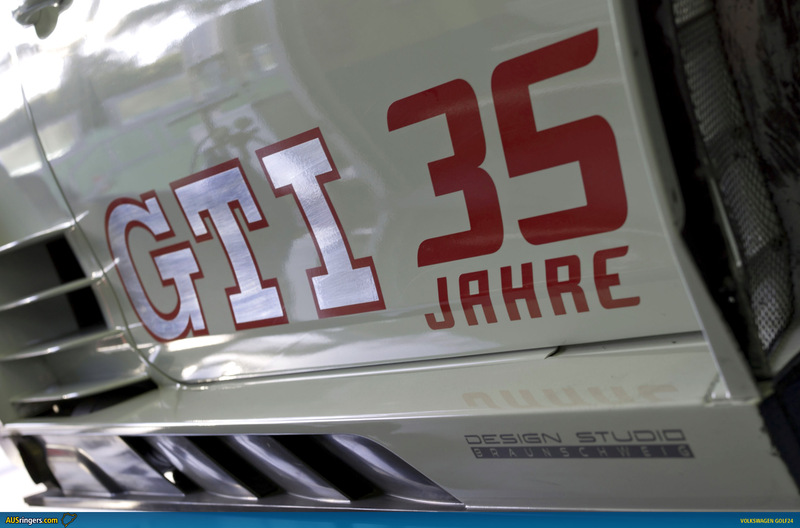 Completing the lineup for VW will be a pair of Scirocco GT24-CNG machines. 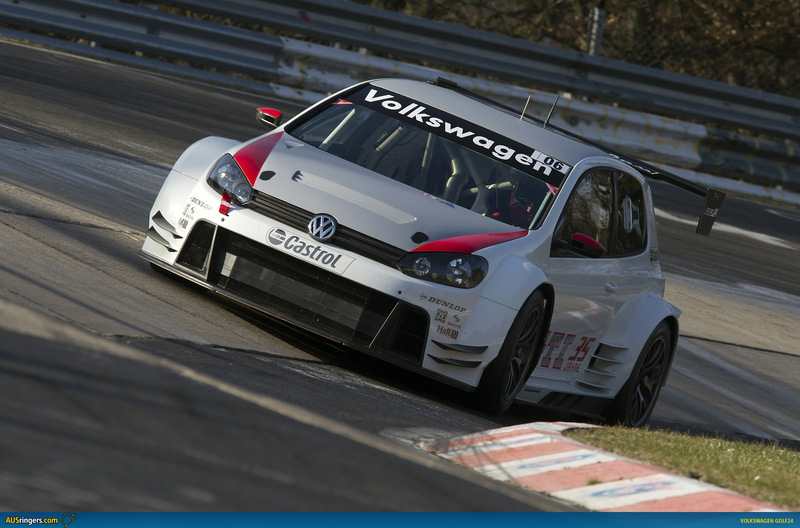 More from Volkswagen Motorsport after the break. Wolfsburg (28 April 2011). 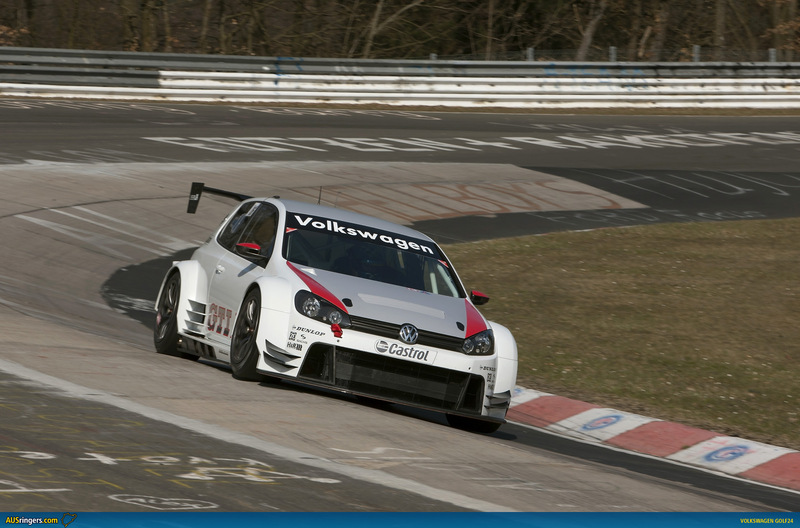 Big names for the comeback: When the Volkswagen Golf returns to the legendary 24-hour race on the Nürburgring-Nordschleife (23–26 June) well-known Volkswagen drivers like René Rast and Peter Terting will be joined on the grid by former Formula 1 racers Johnny Herbert and Mark Blundell as well as DTM driver Edoardo Mortara. The spectacular Golf24 with a power output of 440 hp and four-wheel drive will make its racing debut in the “Green Hell” as early as at the Nürburgring Endurance Championship this weekend. In addition to the three Golf24, Volkswagen’s factory commitment includes two Scirocco GT24-CNG cars with which the Wolfsburg-based squad celebrated a one-two-three finish in the class of vehicles with alternative power-trains. At the wheel will be Volkswagen’s Management Board Member Dr Ulrich Hackenberg, who is responsible for technical development, former DTM driver Vanina Ickx plus journalists Peter Wyss (Automobil Revue) and Bernd Ostmann (auto, motor und sport). 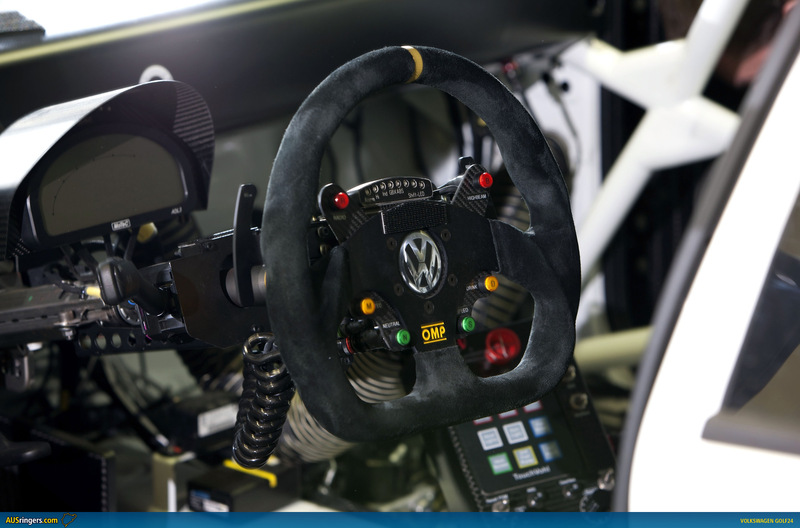 The cockpit of the second Scirocco GT24-CNG powered by eco-conscious bio natural gas will be shared by the “Dakar” winners Giniel de Villiers (winner in 2009) and Nasser Al-Attiyah (2011) and the former DTM racer Klaus Niedzwiedz. 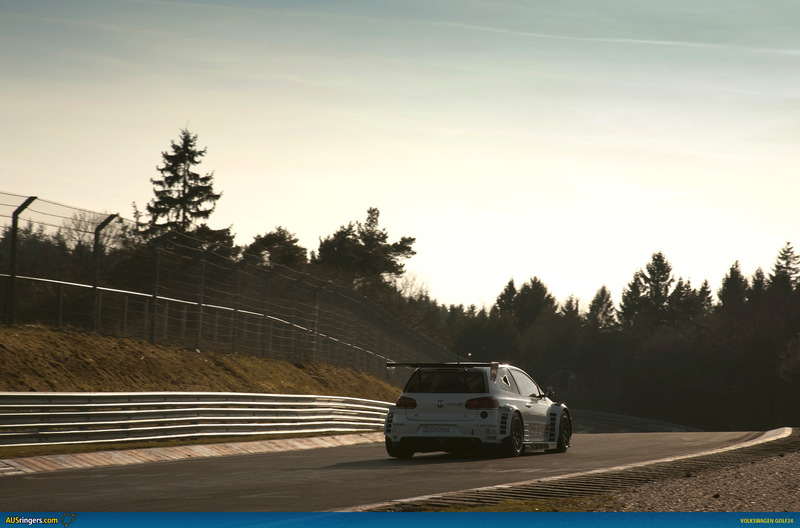 The Volkswagen Golf24 will make its racing debut on Saturday (30 April) at the second round of the Nürburgring Endurance Championship (VLN). 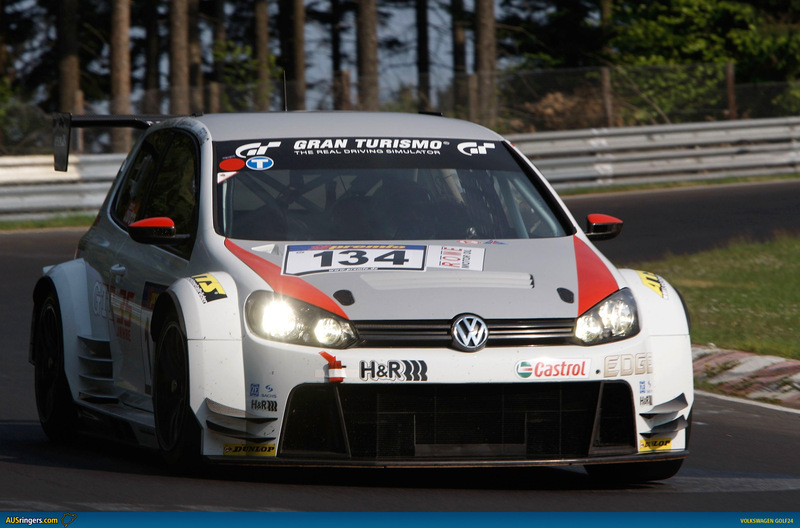 Fredrik Ekblom, Franck Mailleux and Peter Terting will be contesting the 4-hour race. Further tests with varying driver squads are also planned at the following two Endurance Championship rounds.